Golden Globes: Despite all of Sunday's televised hoopla, it's Golden Globes nominations not wins that actually influence Oscar's Best Picture race. The Hollywood Foreign Press Association's Globes noms in early December are always a helpful cheat sheet for time-pressed Academy members to use to decide which films to bother seeing before making nominations. But Oscar noms had to bein Academy hands by 5:00 p.m./PDT Jan. 8, two days prior to the Globes festivities. Now that their Oscar noms ballots are in – the results will be announced Jan. 14 – Academy members have a much smaller pool of films to focus on for final voting. Unlike the nominating period, which stressfully coincides with holiday vacations for many Academy members, the final voting period – from Feb. 12 - 23 -- poses no such conflict. The HFPA's 90-oddforeign journalist members generally aren't a great bellwether for how the Academy's 6,261 voting moviemakers will cast their final ballots. To begin with, the HFPA honors not one buttwo best pictures – a drama plusa comedy or musical. Mostly, the comedy or musical winners don't resonate with Academy voters, who are known for looking down their noses at comedies. What they do like are important dramas about serious issues relevant to today's troubled times or, perhaps, to previous but nonetheless also troubled times. The HFPA's drama winners usually don't fit the Academy's notion of what a best picture should be. Some Globes critics have claimed over the years – but never proven -- that some noms are made with an eye on who will show up to be televised at the Globes ceremonies. Looking back at the last 10 years, only three times have the Globes' best picture-drama and Oscar's best picture matched up and only once has the Globes' best picture-comedy or musical also won the best picture Oscar.Those aren'tthe kind of10 year percentages that should make anyonecomfortable predictingan Oscar-Globesbest picture match-up this year. But that's not to say it can't or won't happen. 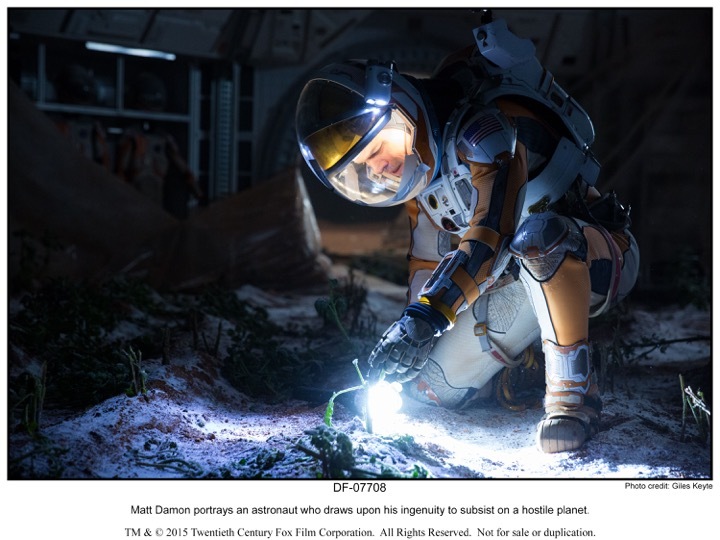 Certainly,all the media coverage the Globes' two best picture winners just received – "The Revenant"(drama) and "The Martian"(comedy or musical) – will be helpful going forward.Both best picture winners, by the way, are 20th Century Fox releases. As it turns out, Fox was very smart to have pushed the HFPA to classify "Martian" as a comedy, thereby putting it in what's generally viewed as being a less competitive race than one for best picture-drama. Besides best picture-drama, "Revenant,"also won Globes for directing(Alejandro Gonzalez Inarritu) and best actor-drama (Leonardo DiCaprio). Its three Globes were the most for any film Sunday night. 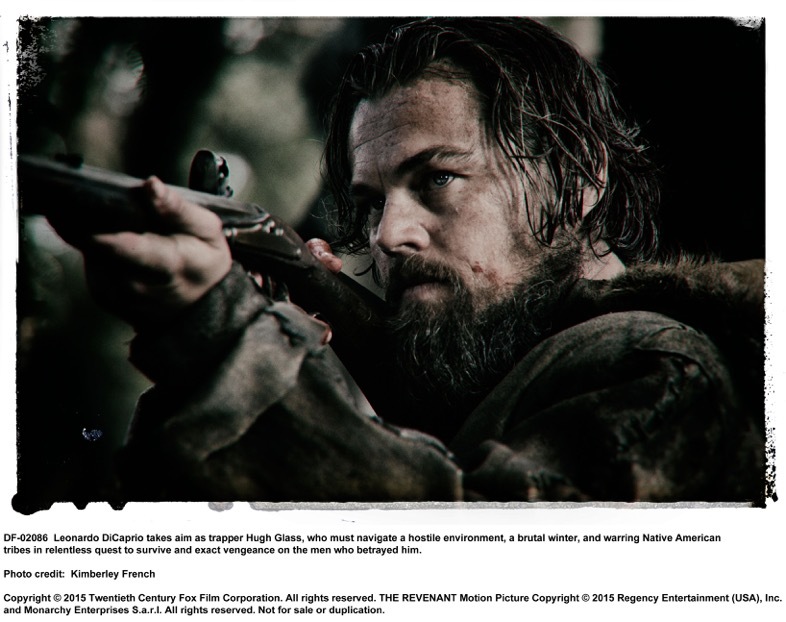 "Revenant" is also a best picture nominee in the BAFTA and Critics Choice races.It went wide last weekend, placing second with a bloody good $38 million and a three week domestic cume of $39.6 million. Besides best picture-comedy or musical, "Martian" also won the Globe for best actor-comedy or musical (Matt Damon). "Martian" is also a Critics Choice best picture nominee.Its domestic cume through last weekend is $226.5 million. The Globes' best picture-drama nominees also included: "Carol,""Mad Max: Fury Road,""Room" and "Spotlight." The Globes' best picture-comedy or musical nominees also included: "The Big Short,""Joy,""Spy"and "Trainwreck." As for Sunday'stelecast, it ran into overtime (although only by a few minutes) the way the Oscars typically do and felt more tedious than ever thanks to particularly bad writing for presenters to read. There was little in the way of funny material, particularly from host Ricky Gervais, who seemed to be a bitde-fanged this time around.Perhaps it's just that by now all of the many jokes that can be made at the HFPA's expense have already been made and there's simply nothing left to poke fun at. As a veteran of more than 20past years of attending the Globes, I can assure you that the people in the room barely notice all the bad jokes while they're working their way through the rapidly warming magnums of champagne on their tables. All those comments by presenters telling the noisy crowd to shut up were directed atthose who spent most of the long evening prowling around the back of the ballroom near the restrooms hoping to pitch projects to the passing parade of studio executives. 2015 – Oscar:"Birdman." Globes-drama: "Boyhood." Globes-comedy: "The Grand Budapest Hotel." 2014 – Oscar and Globes-drama: "12 Years a Slave. "Globes-comedy: "American Hustle." 2013 – Oscar and Globes-drama: "Argo." Globes-comedy: "Les Miserables." 2012 – Oscar and Globes-comedy: "The Artist." Globes-drama: "The Descendants." 2011 –Oscar: "The King's Speech." Globes-drama: "The Social Network." Globes-comedy: "The Kids Are All Right." 2010 – Oscar: "The Hurt Locker." Globes-drama: "Avatar." Globes-comedy: "The Hangover." 2009 --Oscar and Globes-drama: "Slumdog Millionaire." Globes-comedy: "Vicky Cristina Barcelona." 2008 – Oscar: "No Country For Old Men." Globes-drama: "Atonement." Globes-comedy: "Sweeney Todd." 2007 – Oscar: "The Departed." Globes-drama: "Babel." Globes-comedy: "Dreamgirls." 2006 – Oscar: "Crash." Globes-drama: "Brokeback Mountain." Globes-comedy: "Walk the Line." So, if the Globes don't typically point the way to an Oscar best picture win, what does? Many Hollywood handicappers regard the Producers Guild of America (PGA) as a much more reliable bellwether of Oscar best picture noms. One reason: The PGA uses the same byzantine "preferential" voting system that the Academy uses for its own best picture voting. It also helps that movie producers are considered to be some of the Academy's most serious members and are known for making time to see best picture contenders. Moreover, the Academy's Producers' Branch has483 members, making it the second largest group after the Actors' Branch with its 1,138 members. Also, the PGA will announce its winners at high profile ceremonies Jan. 23, well before the Academy's final voting, which begins Feb. 12 at 8:00 a.m./PDT and ends Feb. 23 at 5:00 p.m./PDT. So winning the PGA's best picture race can have a decidedly significant impact on the Oscar vote. Last week brought 10 PGA noms for the Darryl F. Zanuck Award for Outstanding Producer of Theatrical Motion Pictures, the guild's equivalent of a best picture award.Only five of those 10 PGA nominees are also Globes best picture nominees (three dramas and two comedies). 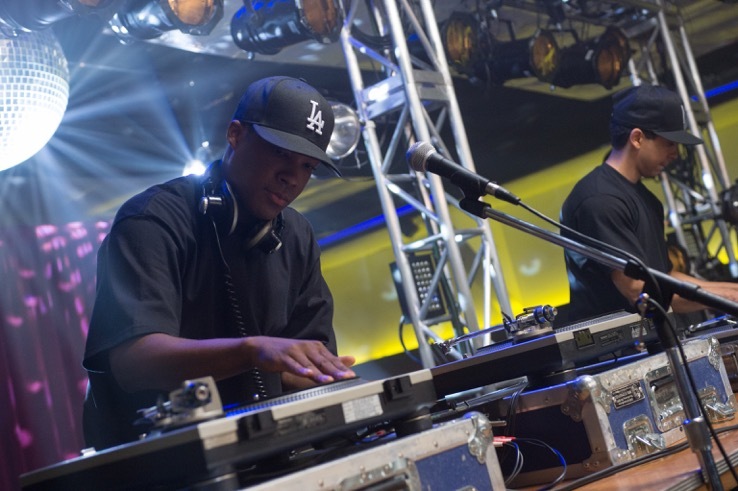 Bottom line:Keep your eye on "Compton," which didn't get Globes, Critics Choice or BAFTA best picture nods, but did make the grade with SAG and the PGA. That support from the Academy's two largest branches (actors and producers) could get "Compton" into Oscar's best picture sweepstakes while adding some welcome diversity to the race.